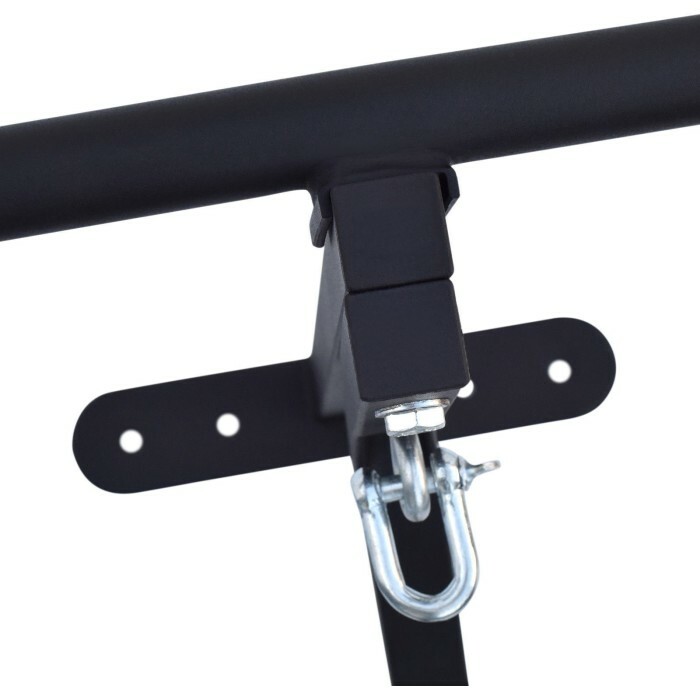 Authentic ARD Powder Coated 16 Gauge Steel Non Slip Chin Pull Up Bar With Punch Bag Bracket Improved design allows a full range of motion without contact with the punch bag Treated with Special Red Oxide Anti-Rust Formulation Great deal while our supplies last! 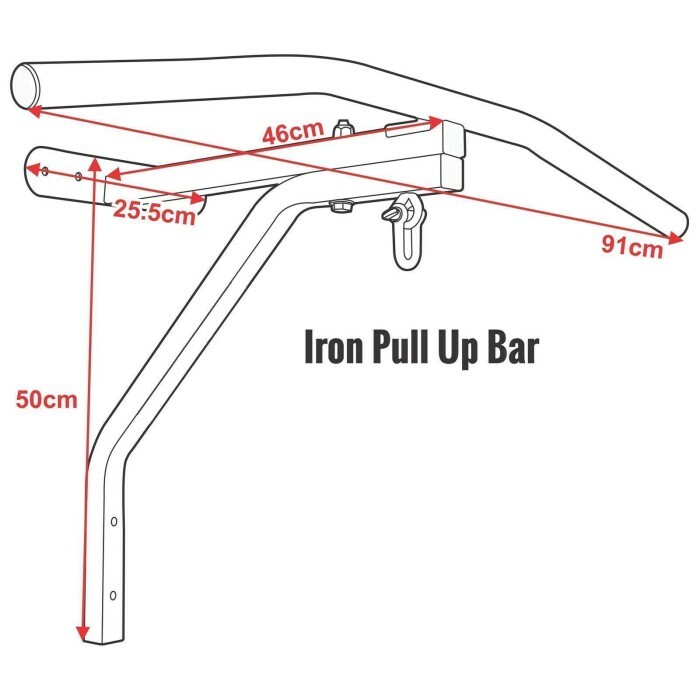 ARD offers a gym-quality Chin pull up bar made from welded 16 gauge powder coated Non Slip steel with gussets for added strength and treated with Special Red Oxide anti-rust formulation. The bar is 1 ¼” diameter for a comfortable grip. Improved design allows a full range of motion without contact with the Punch bag. 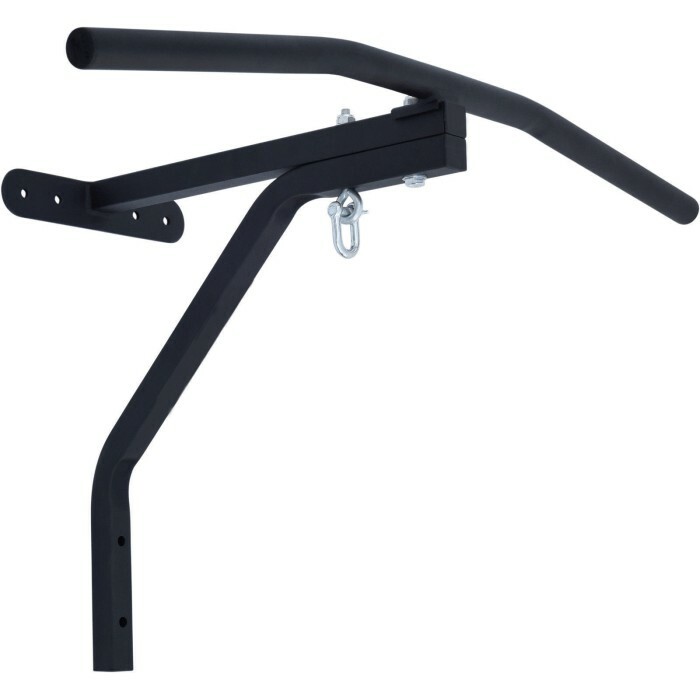 ARD improved Bar is a unique wall mounted chin up bar which enables many different hand positions to be used in order to define and work more muscles in your arms and back. 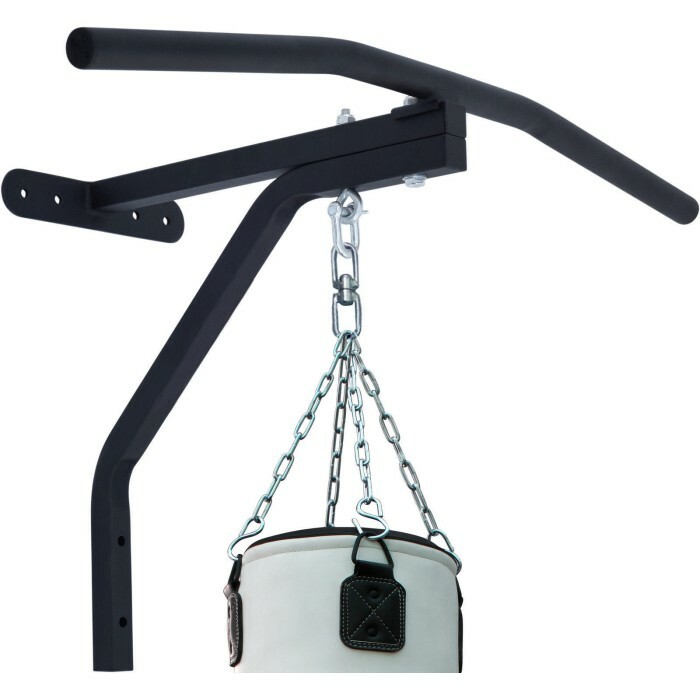 A unique item that can be used as punch bag, speed ball, floor to ceiling ball attachment or chin up`s. Its combination of pull-up and speed boxing training increases endurance and coordination, all while keeping your workout enjoyable and intense at the same time.